President Donald Trump, in a trio of tweets Tuesday evening, targeted Sen. Bernie Sanders’ presidential prospects, tax returns and his Fox News appearance the day before. The Vermont senator released 10 years of his tax returns Monday and called on Trump to do the same during a Fox News town hall in Bethlehem, Pennsylvania. 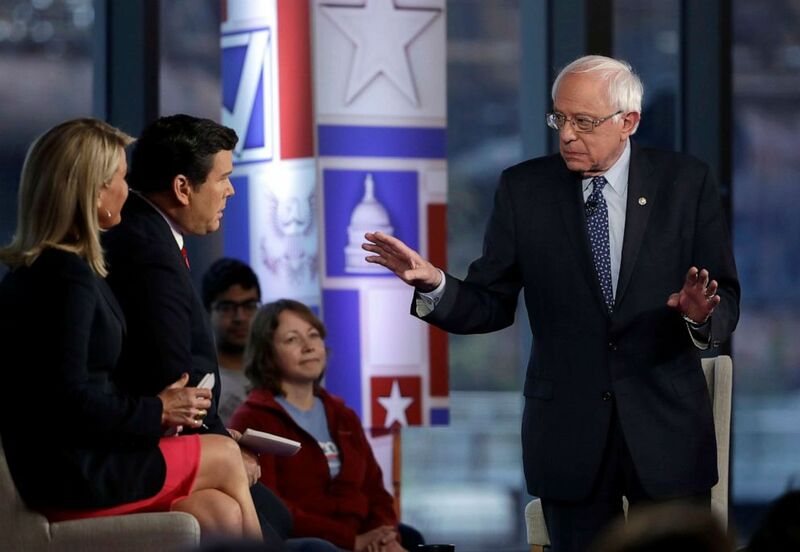 Sen. Bernie Sanders speaks during a Fox News town-hall style event, April 15, 2019, in Bethlehem, Pa.
ABC News' Cheyenne Haslett, Adam Kelsey and Lissette Rodriguez contributed to this report.